The Chain/Koentopp Group is one of Las Vegas’ preferred Real Estate Teams. The group was founded by Linda Chain and Lori Koentopp in 2009. Together, they have a broad understanding of market conditions, values, communities and neighborhoods. 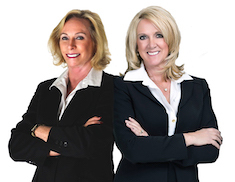 Linda and Lori pride themselves in “matching" Buyer and Seller desires and providing their clients with a home buying experience that goes beyond the scope of simply finding the right home or listing homes at a competitive price. Executing Excellence through a Fresh Approach to Real Estate!